Tonight at midnight, Pacific time, Apple's lower-cost iPhone 5c will become available for preorder, but figuring out just where to get the colorful new iPhone can be a hassle. AppleInsider has put together a round-up of which carriers and retailers will be opening up access for early-adopting consumers. The first option, of course, would be to order an iPhone 5c directly from Apple through the company's online store. As was previously noted, iPhone 5c preorders will go live on Apple's Online Store on Friday, Sept. 13, at midnight Pacific, or 3 a.m. Eastern. Apple Store employees tell AppleInsider that preordering online will be the only way to do so through Apple. Apple Stores will not be accepting preorders. Preorders at Verizon will begin online on September 13 at 3:01 a.m. Eastern, 12:01 a.m. Pacific. The "UNcarrier" will, as with other options, have the iPhone 5c available for preorder online at T-Mobile's website. Preorders will commence at 12:01 a.m. Pacific, 3:01 a.m. Eastern. Customers who want to stay informed on T-Mobile's pre-order process can sign up at the carrier's site for email updates. 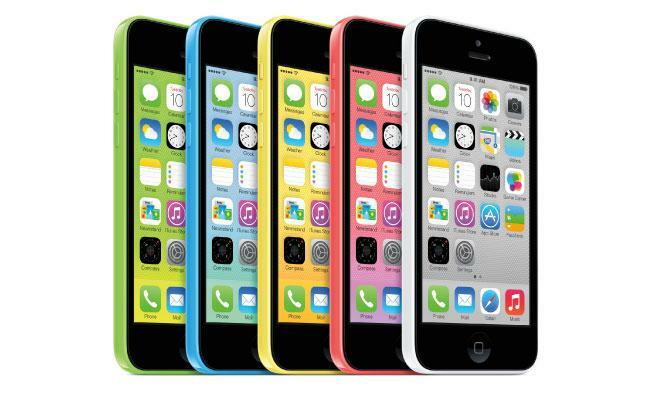 T-Mobile has also revealed a portion of its installment pricing for the iPhone 5c. T-Mobile customers can buy a 16GB model for zero down and $22 per month over two years, for a total price of $528. Preorder purchasing for AT&T will commence at the same time that it will for Apple and other carriers. With AT&T, customers will have two options for purchasing the 5c. Those with AT&T Next will be able to pay zero down and then $22 per month for 20 months. Those eligible for a two-year contract can pay $100 for a 16GB 5c model with the activation of a new contract. Sprint's preorder page notes that the iPhone 5c will be available on September 13 at 2:00 a.m. Central, which is the same as 12:00 a.m. Pacific time. Sprint's preorder page does not go into detail regarding pricing, but the 5c will likely cost what it costs on-contract at the other carriers, $99 for a 16GB model or $199 for a 32GB model. Walmart is getting in on the iPhone 5c preorder game as well. The retail giant is going so far as to undercut Apple, other retailers, and the wireless carriers, offering $20 off of the iPhone 5c on-contract. Walmart's offer is in-store only, but customers can get the iPhone 5c for $79 when signing up for a new two-year contract with AT&T, Verizon, or Sprint. As Walmart's offer requires being in a physical retail location, preorders will only begin on the 13th during the regular business hours of those locations. For those willing to wait, Walmart will also be offering a trade-in program that will give credit toward a new, on-contract phone. That program will start on Sept. 21, the day after the 5c launches. Best Buy has informed AppleInsider that it will also be offering preorders for the iPhone 5c starting on Sept. 13. As is the case with Walmart, preorders from Best Buy will have to be filed at a physical location. A Best Buy preorder will require the purchase of a $50 Best Buy gift card to hold a customer's "spot." Customers will also have to come back to actually purchase the handset on launch day, though the gift card can go toward that purchase. Best Buy will also begin offering preorders for the still-alive iPhone 4S, which will be available in an 8GB configuration only. Retail chain Target has also confirmed to AppleInsider that it will begin offering in-store preorders on the 13th. Target will offer the iPhone 5c at its normal price points of $99 and $199 with a two-year contract. Target will offer the iPhone 5c on-contract for Verizon, AT&T, and Sprint. Radio Shack will begin offering preorders on Friday as well. The retailer will be offering the iPhone 5c at its regular $99 and $199 price points, with all five colors available. Radio Shack will carry each shade of the 5c for Verizon, Sprint, and AT&T. Pricing, of course, is contingent upon a customer signing up for a two-year contract.